Knowing what to do when someone had a cardiac arrest saved Glenn Hoddle’s life. Would you know what to do? Over the weekend, the life of Glenn Hoddle was saved by the quick actions of a sound engineer who started CPR and used a defibrillator when the former England international footballer suffered a cardiac arrest. 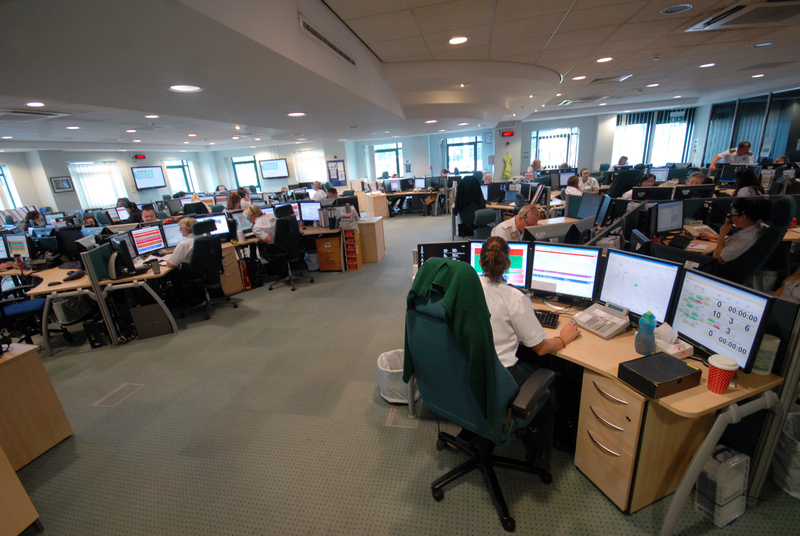 Each year, West Midlands Ambulance Service attends about 4,000 out of hospital cardiac arrests. Sadly, only about 7% of those people will survive! It’s a shocking figure, especially when in some countries like Denmark, the figure is around 25%. Why? Simple, the number of people who know CPR (cardiopulmonary resuscitation) and are prepared to act is too small. It’s even more tragic when you consider how easy it is to do. When someone has a cardiac arrest, every second counts. The patient will be unconscious and their heart won’t be beating – they are clinically dead and will stay that way unless someone is prepared to do something. Giving CPR buys the patient time, so the ambulance service can get there. You can’t hurt the person; doing something can only help. For every minute after the patient’s heart has stopped, their chance of survival drops by 10%, so you can see why time is of the essence. While CPR can buy you time, it is the use of a defibrillator that will get save the patient. There are now thousands of AEDS – automatic external defibrillators – in the community. You’ve probably seen them at airports, railway stations, but increasingly on the walls of village shops, supermarkets and even old telephone boxes. The question is; do you know where your nearest #defib is? If not, make sure you find out as your life, or the life of a loved one could depend on it. Senior paramedic Nick Henry says: “I can only speak personally, but saving a life is the most incredible experience; knowing that your actions mean someone will get to spend time with their loved ones when they wouldn’t otherwise have had that chance. A cardiac can strike anyone at any time: it could be a loved one, a friend, a complete stranger. If you know what to do, you could help save their life. Why would you not want to learn how to do CPR? It doesn’t take long to learn and there are courses all over the place. Monday 22nd October 2018 – 2.50pm – Murray MacGregor. One cyclist has died and another has been injured after an incident involving an HGV. It happened close to the junction of the A449 and Manor Lane, Waresley to the south of Kidderminster at about 11.00am this morning (Monday). Two ambulances, two paramedic officers and the Midlands Air Ambulance from Cosford with a doctor and critical care paramedic on board, were sent to the scene. A West Midlands Ambulance Service spokesman said: “A police vehicle was only seconds away after the collision had happened. In addition, an off-duty paramedic and the crew of a WMAS non-emergency patient transport vehicle all stopped to provide assistance. “Sadly, despite all of the efforts, it was not possible to save the man and he was confirmed dead at the scene. “The second cyclist was treated at the scene before being taken to Worcestershire Royal Hospital for further assessment and continued treatment. Monday 22nd October 2018 – 11.15am – Murray MacGregor. A pedestrian has suffered potentially life-threatening injuries after a collision with a car. It happened on Chester Road in the Castle Vale area of Birmingham at just before 9.10am this morning. An ambulance came across the incident four minutes after the call and was backed up by a second ambulance, the Midlands Air Ambulance critical care car, a paramedic officer and the Warwickshire and Northamptonshire Air Ambulance with a doctor on board. A West Midlands Ambulance Service spokesman said: “On arrival, ambulance staff found a woman who had suffered very serious injuries. “She was treated on scene by ambulance staff and the doctor before being taken on blue lights to the major trauma centre at Queen Elizabeth Hospital Birmingham by land ambulance; the doctor travelled with the ambulance. Monday 22nd October 2018 – 8.25am – Murray MacGregor. Ambulance staff and a doctor provided advanced clinical skills at the scene of a crash that left one man dead and another with potentially serious injuries. The crash happened at about 10.35pm on Sunday evening on Newbold Rd in Newbold Pacey, Warwickshire. A West Midlands Ambulance Service spokesman said: “On arrival, ambulance staff found a car that had collided with a tree. “Sadly, it quickly became apparent that nothing could be done to save the driver and he was confirmed dead at the scene. “Ambulance staff worked with firefighters to extricate the front seat passenger who had suffered potentially serious injuries. “He was taken on blue lights to the major trauma centre at University Hospital Coventry & Warwickshire; the doctor and critical care paramedic travelled with the ambulance. Friday 19th October 2018 – 7.30pm – Murray MacGregor. One woman has died and another has been seriously hurt after a two car collision. It happened on the A3400 London Road, just to the south of Shipston on Stour near the cemetery at about 3.30pm on Friday afternoon. An ambulance, two paramedic officers from West Midlands Ambulance Service, the Warwickshire and Northamptonshire Air Ambulance and a rapid response vehicle from South Western Ambulance Service attended the scene. A West Midlands Ambulance Service spokesman said: “On arrival, members of the public were performing resuscitation on one of the drivers. Wednesday 17th October 2018 – 10.38am – Murray MacGregor. A bus driver is being praised for ensuring all of his passengers were off the vehicle after the double decker caught fire. The incident happened at just after 9.00am this morning near the junction of Gibbet Hill Road and Kenilworth Road in Coventry, beside the University of Warwick Campus. A West Midlands Ambulance Service spokesman said: “When the driver noticed the smoke and flames coming from the engine compartment of his bus, he stopped immediately and then made sure that all the passengers were off before leaving the vehicle himself. “Due to his swift action, he was the only casualty, suffering from smoke inhalation. “After treatment at the scene, he was taken to University Hospital Coventry & Warwickshire for further monitoring. Wednesday 17th October 2018 – 9.55am – Murray MacGregor. An elderly man on a mobility scooter has suffered serious injuries after a collision involving two vehicles. The incident happened on West Way in Stafford at just after 7.10pm on Tuesday evening. An ambulance, a paramedic officer, the MERIT Trauma Doctor and Critical Care Paramedic and a BASICS Emergency Doctor were sent to the scene. A West Midlands Ambulance Service spokesman said: “On arrival, ambulance staff found an elderly man who had suffered serious injuries. “He received advanced clinical care at the scene before being taken on blue lights to the major trauma centre at Royal Stoke University Hospital; both doctors and the critical care paramedic travelled with the ambulance to provide advanced clinical care en-route. Friday 12th October 2018 – 4.00pm – Claire Brown. Two men have been taken to hospital after a collision involving two HGVs in Coventry this afternoon. West Midlands Ambulance Service was called to the A45 Birmingham Road, Coventry at 1.20pm (Friday). Two ambulances, a paramedic officer and the Warwickshire and Northamptonshire Air Ambulance were sent to the scene. A West Midlands Ambulance Service spokeswoman said: “The emergency services arrived on scene to find a collision involving two HGVs. The driver of one vehicle, a man, was seriously injured and received trauma care by the team of ambulance staff on scene before being taken by land ambulance on blue lights to a major trauma centre. Friday 12th October 2018 – 8.20am – Claire Brown. A man was given vital trauma care by ambulance staff at the scene of a road traffic collision last night in Birmingham. West Midlands Ambulance Service received a 999 call to reports of a collision involving a car and a pedestrian at around 7.20pm yesterday (Thursday) at the junction of Woodland Drive and Forest Close, Smethwick. An ambulance, a paramedic officer and a MERIT trauma doctor attended the scene. Thursday 11th October 2018 – 11.28am – Murray MacGregor. A motorcyclist received advanced clinical care at the scene of a crash. The incident happened on Hanley Road in the Sneyd Green area of Stoke on Trent at just before 8.00pm on Wednesday evening. Two ambulances, a paramedic officer and a BASICS Emergency Doctor from the North Staffordshire Scheme were sent to the scene. A West Midlands Ambulance Service spokesman said: “On arrival, ambulance staff found the rider of a motorbike in the road. “There was damage to the offside of the car and the bike had come to rest against a bus shelter which had shattered. “The man was assessed and treated at the scene by the ambulance staff and doctor before being taken to the major trauma centre at Royal Stoke University Hospital. Thursday 11th October 2018 – 9.00am – Murray MacGregor. A motorcyclist has been airlifted to hospital after a collision with a car. The incident happened at just after 6.00pm last night (Wednesday), close to the junction of the A4169 and B4379 at Kemberton, south east of Telford. A rapid response vehicle, a paramedic officer, an ambulance and two air ambulances were sent to the scene. A West Midlands Ambulance Service spokesman said: “On arrival, ambulance staff found a car and a motorbike that had both suffered significant damage. “The rider of the motorbike had suffered potentially serious injuries. He was being tended to by an off-duty nurse. 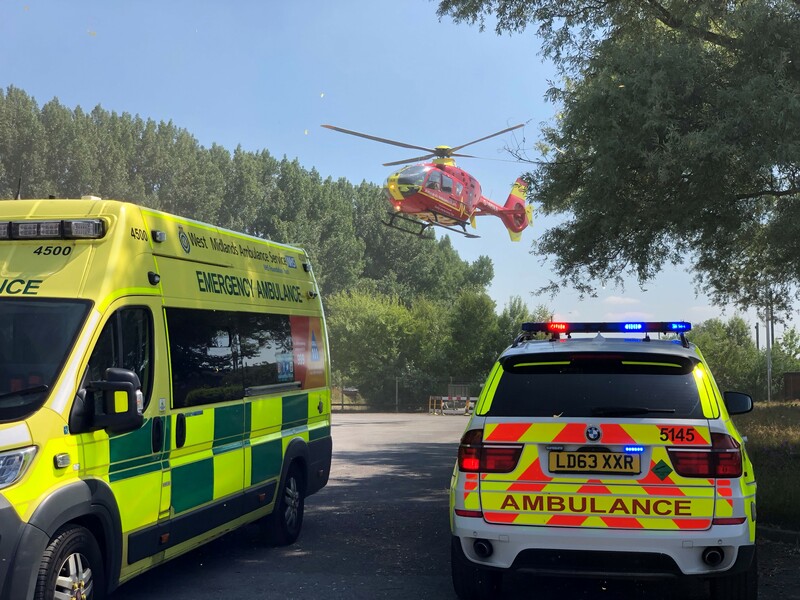 “The rider was assessed and treated on scene before being airlifted by the Midlands Air Ambulance from Staffordshire to the major trauma centre at Royal Stoke University Hospital. Tuesday 9th October 2018 – 9.45am – Murray MacGregor. Tuesday 9th October 2018 – 8.50am – Claire Brown. Ambulance staff administered advanced trauma care to a man at the scene of a serious RTC last night in Coventry. 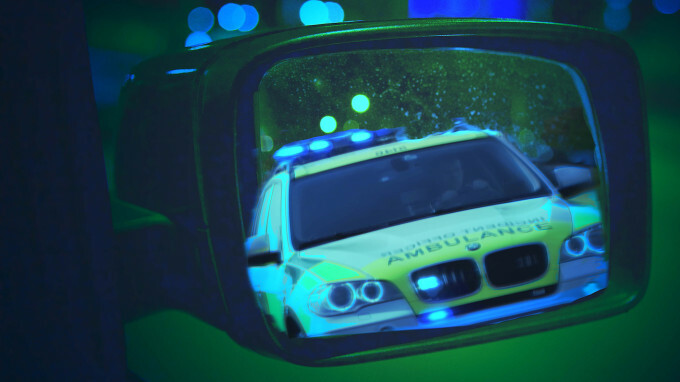 West Midlands Ambulance Service was called to reports of an RTC involving a car and a pedestrian in St James Lane, Willenhall, Coventry shortly after 7.20pm yesterday (Monday). Two ambulances, a paramedic officer and the Critical Care Car from the Air Ambulance Service attended the scene. A West Midlands Ambulance Service spokeswoman said: “When ambulance staff arrived at the scene they found a pedestrian, a man, in a serious condition being given excellent first aid by bystanders. Crews took over emergency care on scene before transferring the man by ambulance on blue lights to hospital. The man was said to be in a critical condition upon arrival at hospital. Monday 8th October 2018 – 9.15am – Murray MacGregor. Four people have been hurt after a car left the road and ended up in a field. The incident happened on the A49 near the Shrewsbury Golf Club at Condover at around 2.30am this morning, Monday. A total of four ambulances, a paramedic officer and a critical care paramedic were sent to the scene. A West Midlands Ambulance Service spokesman said: “One man and one woman suffered potentially serious injuries. They were assessed and treated at the scene before both being taken to the major trauma centre at Royal Stoke University Hospital. Monday 8th October 2018 – 8.40am – Murray MacGregor. A man has died after an incident on the M6 in the early hours of this morning. It happened on the northbound carriageway between junction 2 and 3. Two ambulances and a paramedic officer were sent to the scene after a call at just before 4.40am, this morning, Monday. An ambulance service spokesman said: “On arrival, sadly it was clear that nothing could be done to save the man and he was confirmed dead at the scene. Monday 8th October 2018 – 8.28am – Murray MacGregor. Despite advanced life support at the scene, sadly it was not possible to save the life of a man who was involved in what West Midlands Police have described as a hit-and-run incident. It happened in Allesley Old Road in the Earlsdon area of Coventry at about 7.50pm on Sunday evening. A West Midlands Ambulance Service spokesman said: “On arrival, ambulance crews found a pedestrian who had received very serious injuries. Anyone with information is urged to call West Midlands Police on 999 quoting log 2482 of 7th October or contact the charity Crimestoppers anonymously on 0800 555 111. Thursday 4th October 2018 – 8.50am – Murray MacGregor. A woman pedestrian has died after a crash involving two cars. It happened at about 9.50pm on Wednesday evening outside the Sikh Temple in Waterloo Road, Smethwick. Two ambulances, two paramedic officers, and the MERIT Trauma doctor and critical care paramedic were sent to the scene after a number of 999 phone calls about the incident. A West Midlands Ambulance Service spokesman said: “On arrival, ambulance staff found bystanders trying to assist the woman. “Crews and the doctor performed advanced life support, but sadly it was not possible to save her, and she was confirmed dead at the scene. Thursday 4th October 2018 – 8.30am – Claire Brown. Despite the best efforts of ambulance staff at the scene of a road traffic collision last night, a cyclist sadly died. 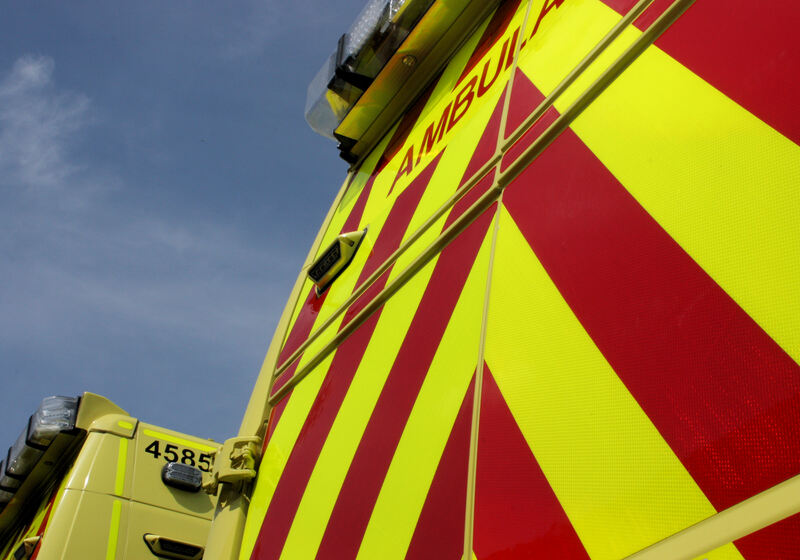 West Midlands Ambulance Service was called to reports of a road traffic collision involving a car and a cyclist on Wenlock Road in Shrewsbury shortly after 9.00pm yesterday (Wednesday). An ambulance, a paramedic officer and a community first responder were responded to the scene. An off-duty paramedic, who came across the incident, stopped to render aid. If you were faced with someone who had gone into cardiac arrest, would you know what to do to help? The reality is that every second counts in such situations. Wednesday 3rd October 2018 – 9.00am – Claire Brown. 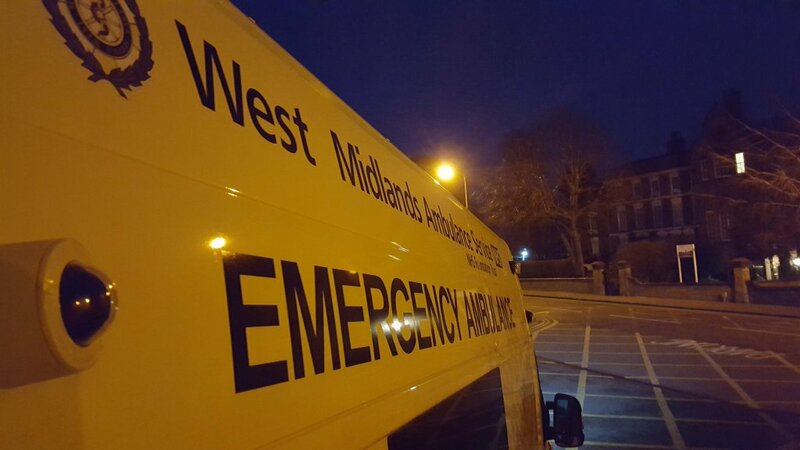 A pedestrian needed advanced trauma care from West Midlands Ambulance Service staff following a road traffic collision last night in Birmingham. The service received a 999 call from West Midlands Police control room reporting an RTC involving a car and a pedestrian at the junction of Genners Lane and Long Nuke Road, Northfield shortly before 11.50pm last night (Tuesday). Two ambulances, a paramedic officer and a MERIT trauma doctor responded to the scene. Tuesday 2nd October 2018 – 8.00pm – Murray MacGregor. Three men have been treated by ambulance service staff for stab wounds after an incident in Birmingham City Centre. West Midlands Ambulance Service received multiple call to three different locations all in close proximity to the High Street at 5.45pm. Three ambulances, two paramedic officers, the Midlands Air Ambulance Critical Care Car, the MERIT Trauma doctor and four other BASICS Emergency Doctors were immediately mobilised. However, on arrival, a number of those resources were stood down as the injuries were not as serious as first thought. The men were treated at each of the three locations. One had suffered serious injuries, the other two less serious. All three were taken to hospital. Witnesses are asked to contact West Midlands Police via live chat at www.west-midlands.polic.uk between 8am and midnight, call 101 anytime or contact Crimestoppers anonymously on 0800 555 111 giving log number 1842 of 2nd October.